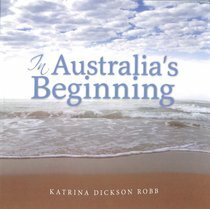 Australian author Katrina Dickson Robb recounts Australia's beginnings from the creation account found in Genesis in the Bible and from the stories of the First Australians. Her illustrations and photographs show the beauty of God's creation as he shaped Australia in the very beginning.Katrina is an Early Learning Centre Director who has performed various roles in the fields of early childhood, Nursing and staff development for the past twenty years. She completed her early childhood and leadership qualifications in 2007 and is currently building on her formal qualifications with a bachelor's degree in early childhood education at the University of Canberra. She also holds a diploma in theology from Morling College, Sydney.Katrina is a passionate advocate for children's right to know they have a God-given purpose. She writes with children and for children to communicate to them that God not only loves them but knows them and created them uniquely gifted and talented.She lives in Canberra, Australia, with her husband, David, and their three teenage children.